Sub-$100 devices and a growing range of manufacturers will dominate smartphone markets in the future. For mobile operators, the transformation of the smartphone market means a more diversified device base to support. 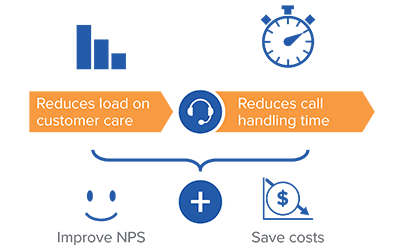 Typical customer care touch points like a call center and store are the most costly touch points for handling device support and also the most inconvenient for the customers. 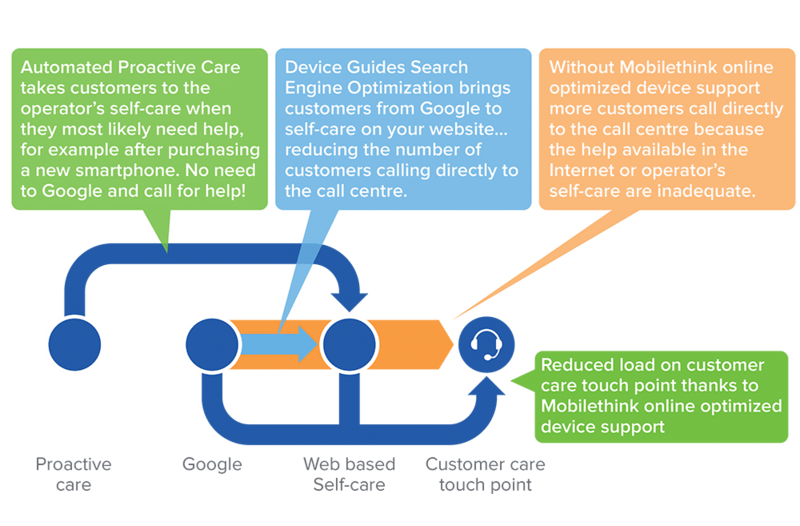 When the help provided by operators’ online self-care is inadequate, or customers simply don’t know about it, Google becomes the de-facto starting point for the device support journey. Unfortunately the Internet often leaves customers without a solution which further generates costly care calls. Today’s customer care journeys fail to scale for smartphone support, which impacts customer care costs, customer satisfaction and Net Promoter Score. 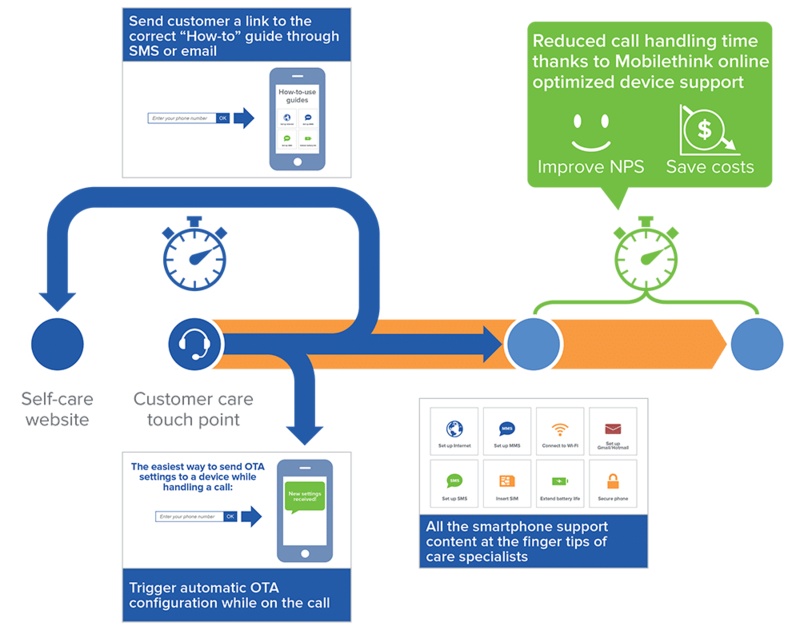 Mobilethink online optimized device support is the most efficient way to reduce the number of smartphone-related problems that end with your human touch points. Proactive care removes the need for customers to search for smartphone help by informing people where to find the best possible smartphone help when they need it. At the same time, it captures users who do choose to search Google for answers due to being optimised for search engines. Customers are directed from Google to your Device Guides self-care portal, providing them with the answers they need. So, not only are they happy with the support, but the load on your human touch points is reduced. Online optimized device support provides your customers with the best possible device support before they even think about calling your customer care. 50% of customer support calls concern simple device-related questions. These can take a lot of time to solve on the phone if your service specialists don’t have Mobilethink Device Guides to hand. Device Guides enables your staff to solve smartphone questions better and faster.